In this guide, we see the Implementation of TreeMap class using examples. The entries in a TreeMap are always sorted based on the natural ordering of the keys, or based on a custom Comparator that you can provide at the time of creation of the TreeMap. 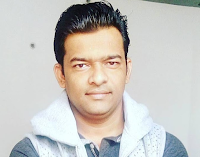 Java TreeMap class implements the Map interface by using a tree. It provides an efficient means of storing key/value pairs in sorted order. A TreeMap contains values based on the key. 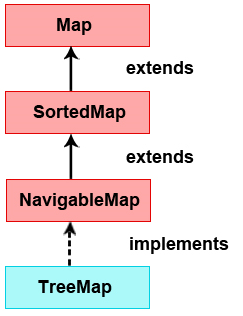 It implements the NavigableMap interface and extends AbstractMap class. It contains only unique elements. It cannot have a null key but can have multiple null values. It is same as HashMap instead maintains ascending order. In this example, the elements are sorted in natural ordering. // maintain keys in ascending order. Note that the keys are sorted in descending order. Find the size of a TreeMap. Check if a given key exists in a TreeMap. Retrieve the first entry in the TreeMap. Retrieve the last entry in the TreeMap. Retrieve the entry whose key is just lower than the given key. Retrieve the entry whose key is just higher than the given key.